On behalf of SMEG, Euro-Parts would like to thank you for your interest in the SMEG 50s style appliances. Euro-Parts is SMEG’s only authorised 3rd party service company in Canada. We are sorry to hear that you are having issues with your SMEG appliance. If you live in Canada and you are experiencing problems, please fill out below form so we can assist you better. Depending on the nature of your problem, we will either send out a spare part (with instructions, if necessary) or a new replacement appliance if your appliance is still covered under the 1 year warranty. 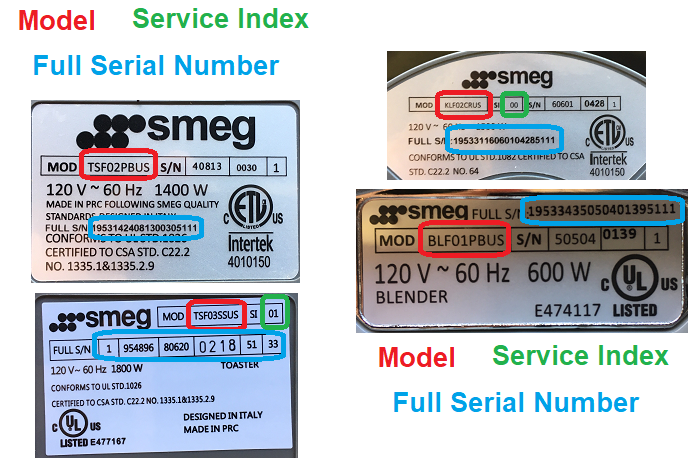 In order to follow SMEG’s service policy properly, we may have to get your current SMEG appliance back to our location to inspect it. If this is the case, we will send you a fully pre-paid Purolator return tag in an email. Please make sure to also check your spam folder for emails from Purolator. Please package the appliance securely in its original packaging or in a cardboard box ensuring that the beautiful SMEG appliance does not get damaged during transport. If proof of purchase cannot be provided, please note the reason why.